Under the hood - Newly Rebuilt 327 smallblock, Camell bump heads, Flowmaster ceramic coated shorty headers, Edelbrock highrise torqer intake manifold, Edelbrock 4 barrel 550cfm carb, Street Comp Cam. March machined aluminum Pulley Kit, Performance 3 core aluminum radiator, Optima Red top Battery, etc. approx 360 - 400hp. 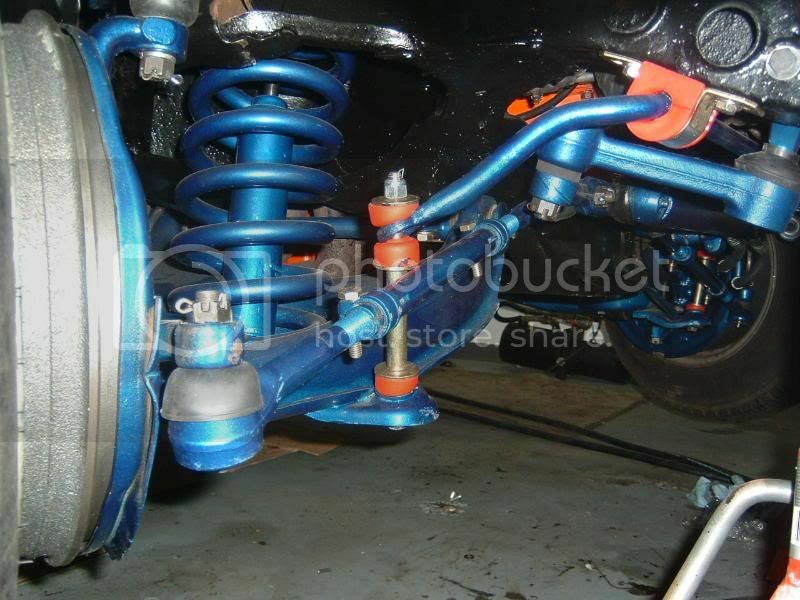 Restored - All drive train - bolts, bearings, seals, bushings, ball joints, tie rods, Brakes, Hoses, clamps,rigid tubing etc. I removed, media blasted and color code match painted all the components to match the body(that was alot of fun, I really got a kick out of seeing the before and after results). Aluminum coated Dual exhaust with chrome Dynaflow mufflers really makes this Pontiac sound sweet. Stereo - Mixed brands, Alpine Deck, 2 MB Quart amps-800watts total, 2- 12" JL Audio subs, misc mids. sounds great. I would really like to try and restore the interior in the next year or so. I dont know how people can restore cars in less than a year, this has taken me over 10 years to get this far and a life time to go, Lovin it! Thanks for checking out my ride, I would love to here whatcha think. Oh ya and any leeds to parts for this car is always a big help, most parts are not available anymore. Great job on the resto mod gangster style. The rims are not my style but if everyone like the same thing we all would be driving the same cars and that would be boaring. I like everything except for the hydraulic setup, just not a fan of the ghetto-fabulous slam it to the ground style. looks great! but between Pontiac and Chevy, Pontiac seems more power and performance while Chevy seems more like a lowrider. but its still nice. Not my style but I can tell the work has been well done and for being what she is, she looks great! Thanks for the replys so far, please add what your prefferd style is, such as, keep it stock, drag wide tires, big rims/low pro tires, or maybey you like tuner performance 4 or 6 cylinder, or the 1980 stuff, etc. Im intrested in hearing whats hot. I found some more pics to add of some of my work. That would so fit in here in SoCal! Personally, I prefer a more function over form look and feel. Nothing wrong with a lowrider though, those cars pretty much have their own culture. Better culture than my Grand Ma GT had to offer. You pretty much done with the car? or is there more in store? I will never be done do to time and money and endless possibilties., I would like to work on the interior this winter or next. Eventually upgrade the brakes to disc. Install a wish bone mod to the rear end. I am going to apolster the trunk with a few lights/and mirros etc. this winter I promised myself I would keep her for life. Its not worth the small dollars that I would get to ever sell it compared to what its worth to me. I have the Hydraulics installed in such a way that I can easily remove and convert back to stock in a matter of a few days or less. all the original suspension components are sitting nicely organized on a little roller shelf in my shop, reason being I know its valued higher stock and the police like to give me a hard time. So I configured my Hydraulic install myself for convenient removal although it looks completly finished. Nice I am interested in seeing the suspension work. Did you design it or was it a kit? The engineering of these things interest me, especially the ones done in a backyard. The Pontiac Oakland Club International (POCI - www.poci.org) has a Canadian-built Pontiac speciality chapter. They have a classified section too. Also POCI was a classified section too and a forum. There are also tech advisers available to answer questions to POCI members. Performance Years also has a huge Pontiac forum as well. Other than that, I suggest you join a local car club or two and network with these guys. They might have leads as well. Canadian Pontiac drivetrain parts tend to be large or mid-size Chevy frames and drivetrains. So that stuff might be more common that you think. Many body parts and trim pieces are often unique to Canada. So it makes finding this tough, as I'm sure you already know. Personally, I don't mind a lowered car, I like the old classic lead sleds. I'm not a low-rider/hyrdalic or donk fan per se, but I do respect it as a form of customizing. It looks great to be honest. You have really worked the details. You can buy hydraulics as a kit or each component separetley but at the end of the day you end up with the same stuff. But how you install/hookup/route everything can be totally your own idea for allot of it. 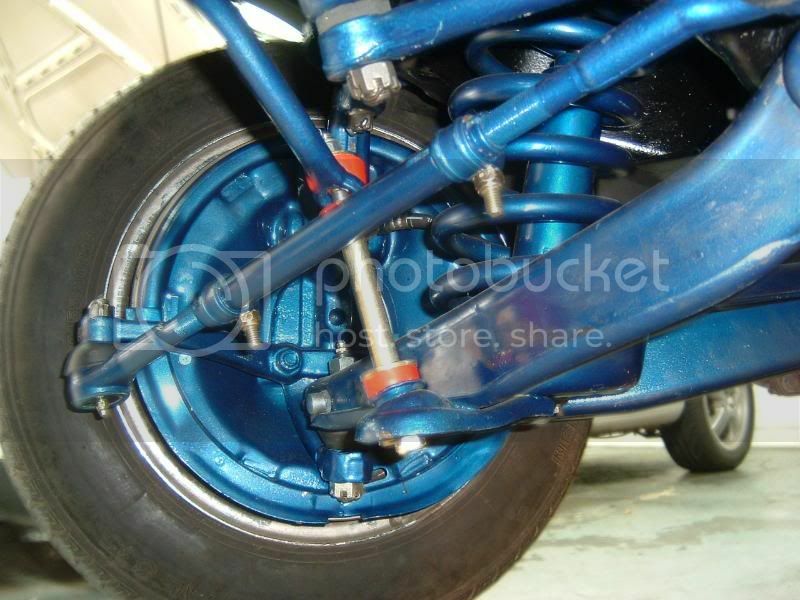 I will take some hydraulic/suspension pictures to put up in the next month or two so everyone can view. Its cool stuff. you can set it to be slow or fast, reliable or fire hazard, it just all depends what you want to get out of it. I personally don't like to hop because I feel like its hard on the car and you need alot of batteries for that which leads to possible fires or other problems, so I have it set medium fast up, slow down(dump) and 3 wheel motion. this way its reliable and I feel good that its safe to have my 3 year old boy in it. For classic cars, I like to see it restored to their classic glory with few modern modifications such as disc brakes, upgraded lines, etc... Then a build up of the engine. Normally always stick with the function over form as Chaos said. This. It is generally frowned upon to do anything but keep it at its classic glory. This doesn't mean you can't add your own modern touches. I have a big ole "Pontiac Racing" decal on mine. Flows really good with my car. The only really modern things I have in my car are the fuel tank, fuel lines, brake likes, drums and disk brakes, exhaust pipes/mufflers and windshield. Many of the modernizations on older cars are mostly non-visible whilst the cosmetics are kept as stock as possible. If I had to identify myself with a style it would be the "sleeper" look. I love a stock-appearing car that will turn around and annihilate the competition on the race track. I have two 4 cylinder cars and adore small engines because I like seeing how much power can be safely squeezed out of them. 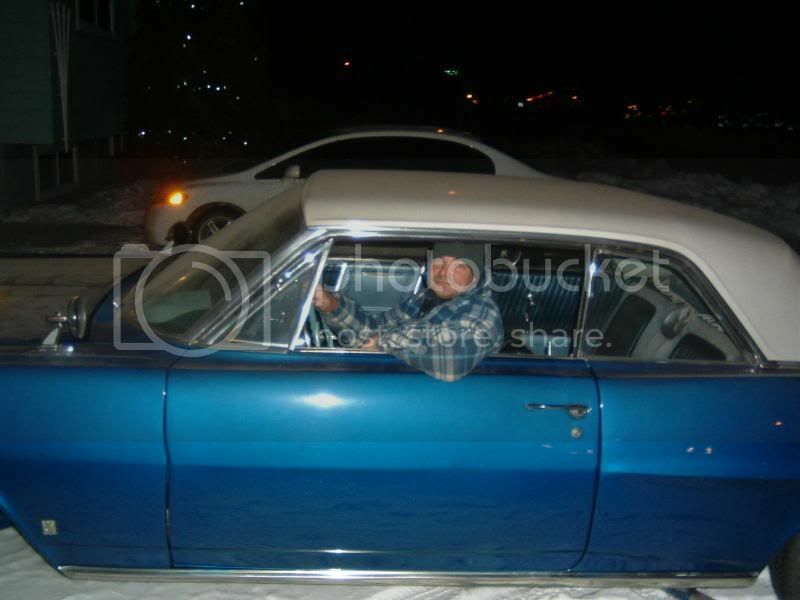 However, due to my traditional Pontiac love, I am a sucker for a big and beautiful classic with a stock V8 under the hood. When it comes to classics, my favorites are generally resto-mods using period correct parts. That's what my dad plans on doing with his '77 Can Am. Despite what my favorites are, I'm very interested in your Parisienne. I always appreciate hard work, dedication, and doing what you love. I can tell all of these things have gone into your car.